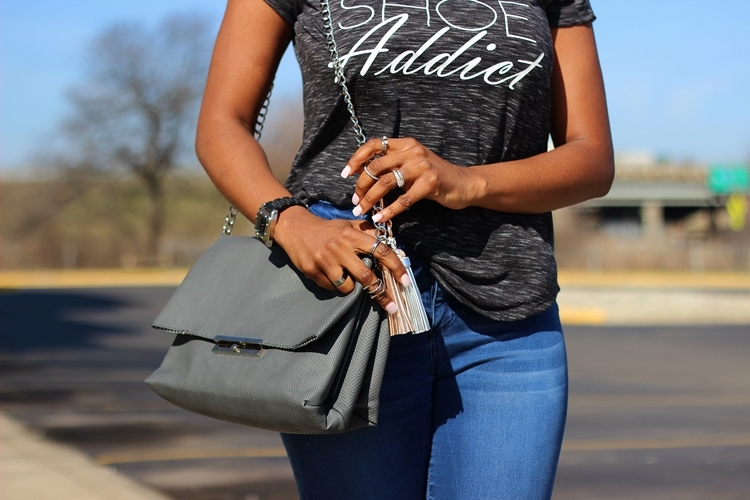 How ironic of me to wear a shirt that dons "shoe addict" and rock flats with it? Trust me, I tried every variation of heel that I thought would work for this and I didn't like one of them! But let's be honest, I don't wear heels every day! Not even on a regular basis anymore (unfortunately). I work in a very casual environment and I am not a fan of heels and Winter at all! Luckily our weather is breaking, which is bringing out tons of outfit inspo and my gorgeous babies (shoes)! One of my besties got this shirt for me instead of flowers or a card when my mom passed because she said I had enough of those! I really appreciate the gesture and this shirt just SCREAMS me! I will certainly have this in heavy rotation because I just dig it that much! Since this fit is so casual, I went into accessory overload! 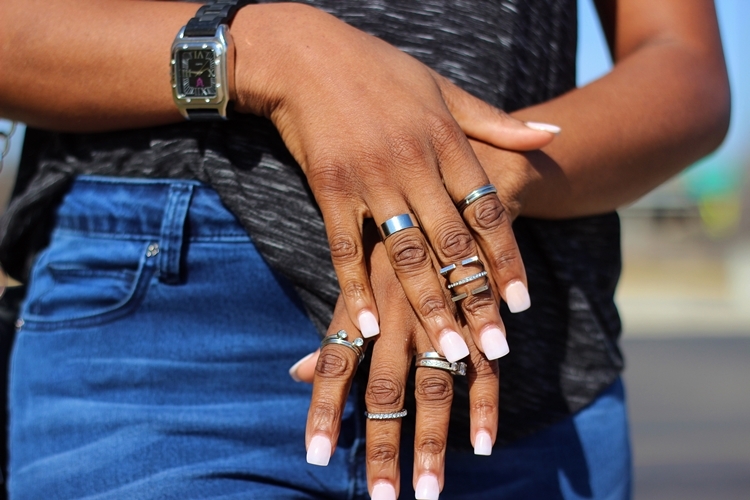 Whipped out a Rocksbox favorite of mine with this Wanderlust and Co ring and added a bunch of silver midis and a pair of roped hoops to top off this casual fit!